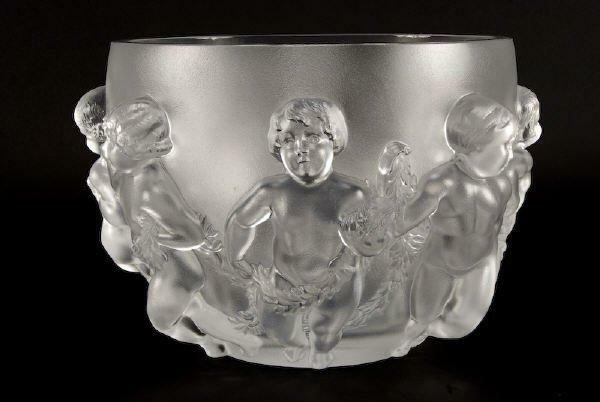 An Estate Lalique Large Luxembourg Bowl with dancing cherubs conjoined with swags of garland, signed with etched Lalique France signature on base. 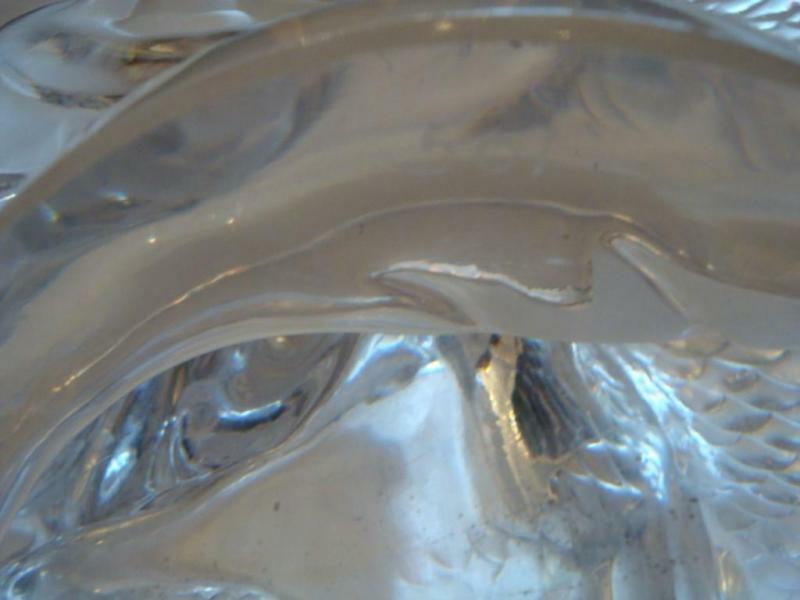 We will provide certified appraisals for the piece. 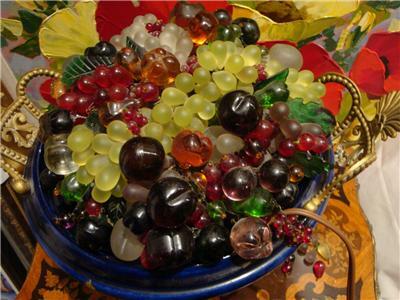 Collectors Pieces!!! 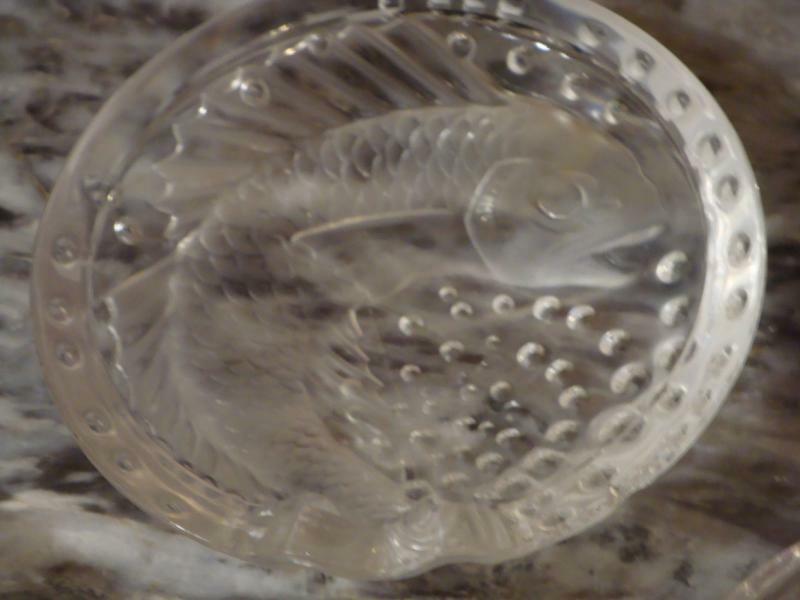 A Rare Estate Mint Lalique Beautiful Lalique Fish Scale Centerpiece Vase in frosted and clear glass. Circa 1970. 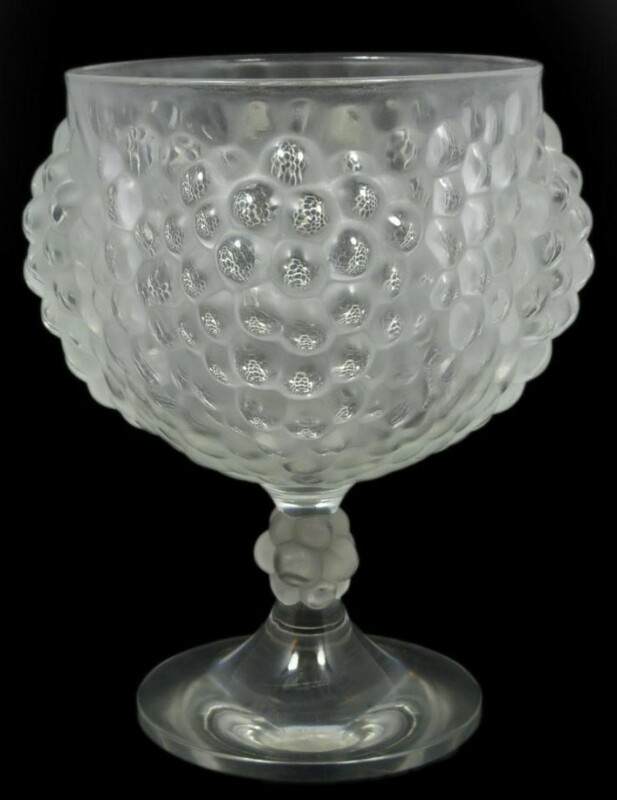 Signed with etched Lalique France signature on base. Taken out of a Private New York City Collection. 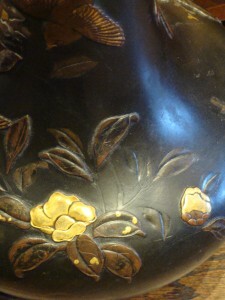 We will provide certified appraisals for the piece. 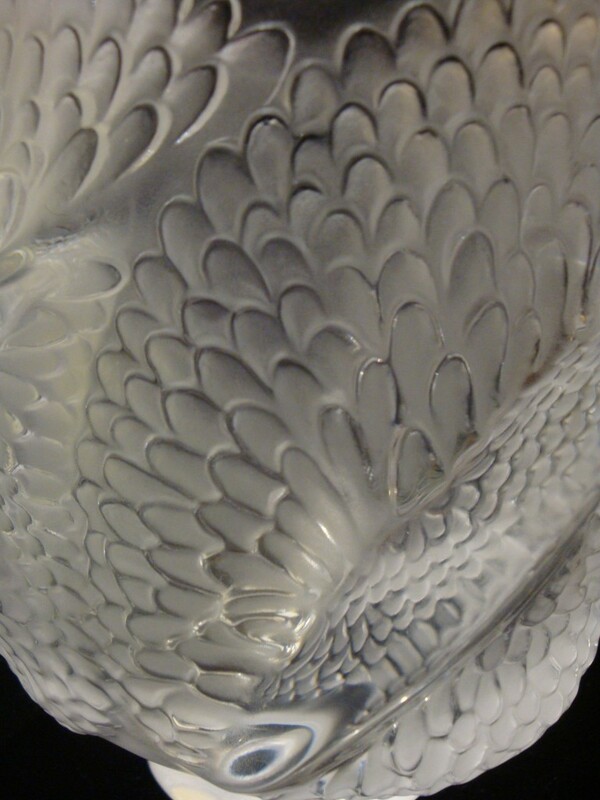 An Extremely Rare Estate Original R. Lalique French Bamako Vase. Circa 1930's. 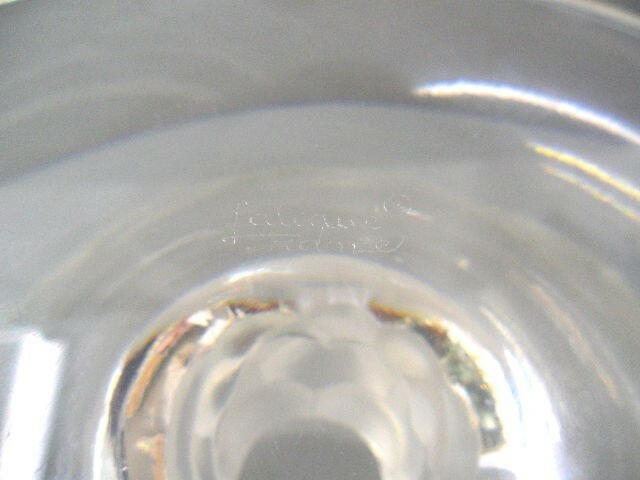 Base marked "R.Lalique". 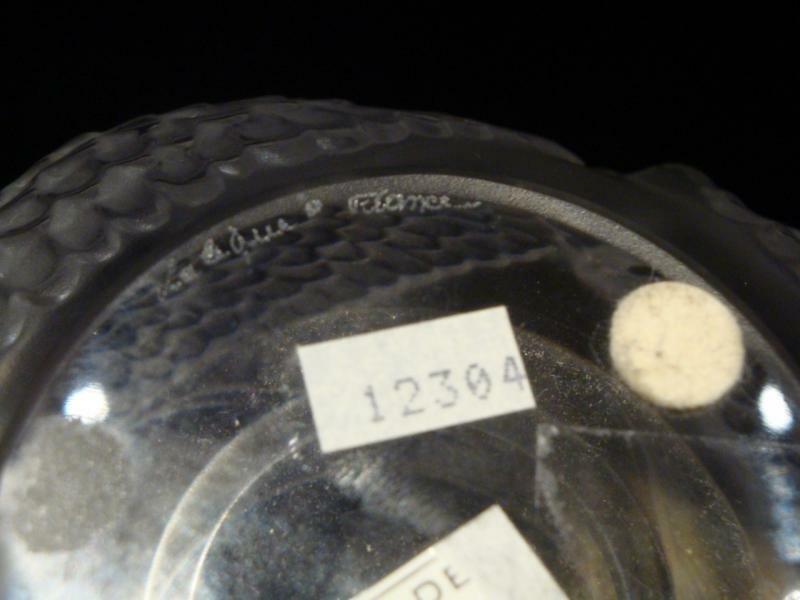 Provenance: TAKEN OUT OF AN IMPORTANT SEVERAL MILLION DOLLAR PRIVATE NYC COLLECTION! An Exquisite Masterpiece!!! 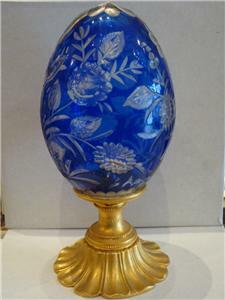 A Magnificent 24 KT GOLD FABERGE STYLE crystal egg on base. Beautifully done with Handcut Stenciled Detail. 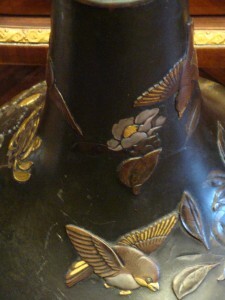 A Fine Japanese 19th Century Meiji Period Bronze Vase. 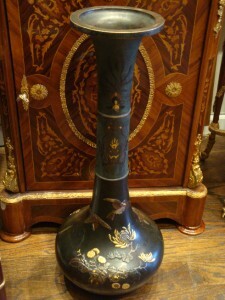 It is 2 separate pcs and combined together to form this Magnificent Outstanding Vase done with Fine Detail. 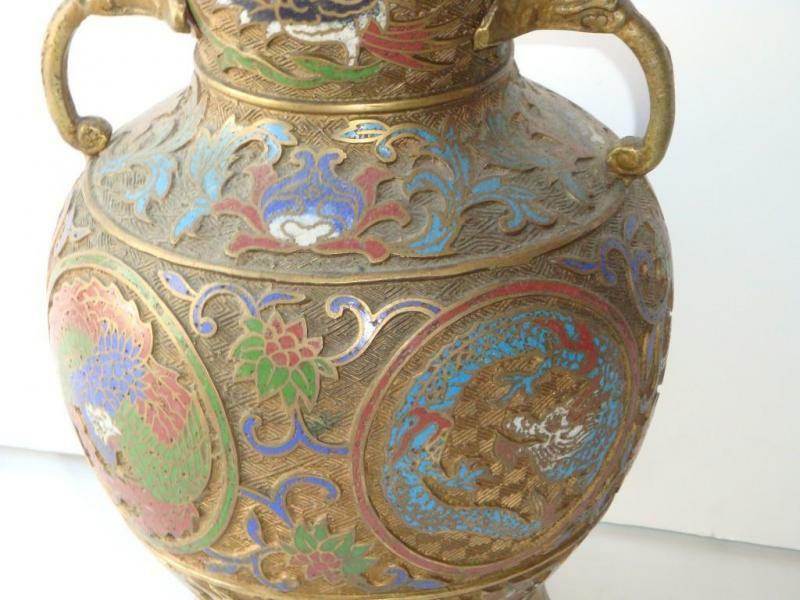 Each panel is extremely well detailed with Gold, Silver, Bronze and Copper and features a Goddess type figure at the top, a Dragon with a Crown, Birds, Flowers, and other Exquisite forms of life. A Rare Museum Quality Masterpiece!! 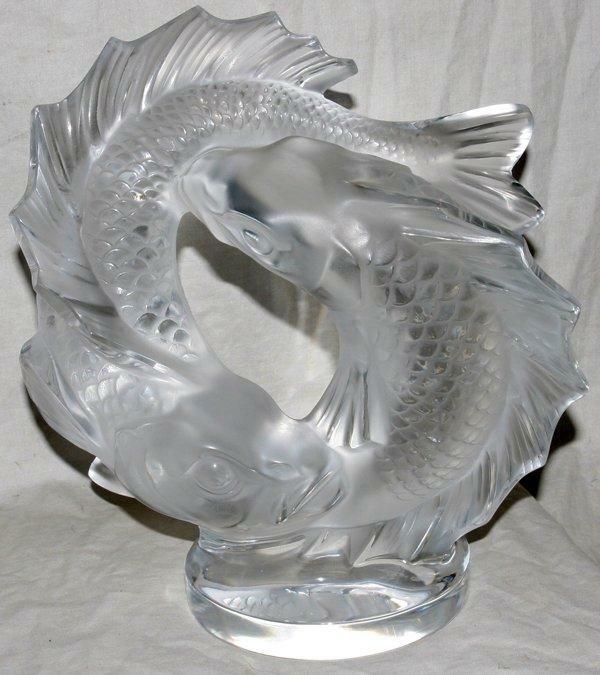 Taken Out of a New York City Estate - Double Intertwined Lalique Fish Sculpture. 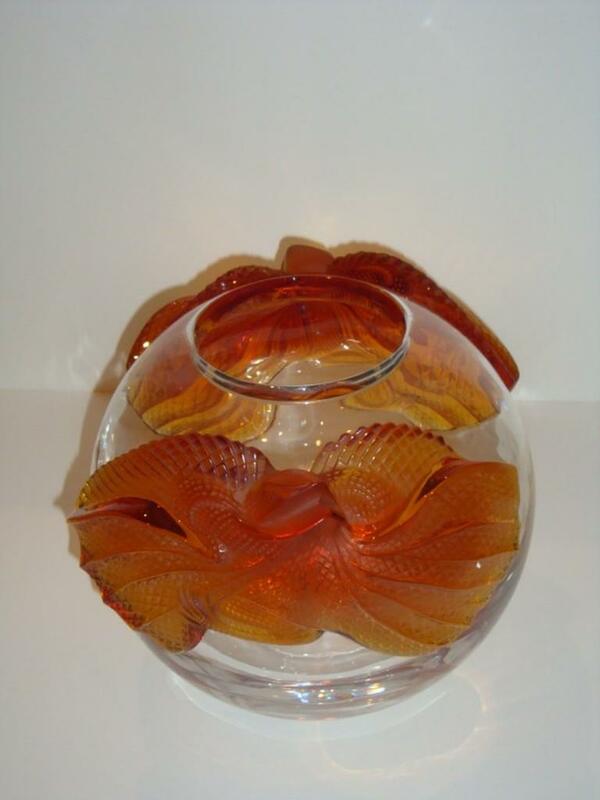 Signed and Numbered #501 with Etched Lalique France - Signature on Base. 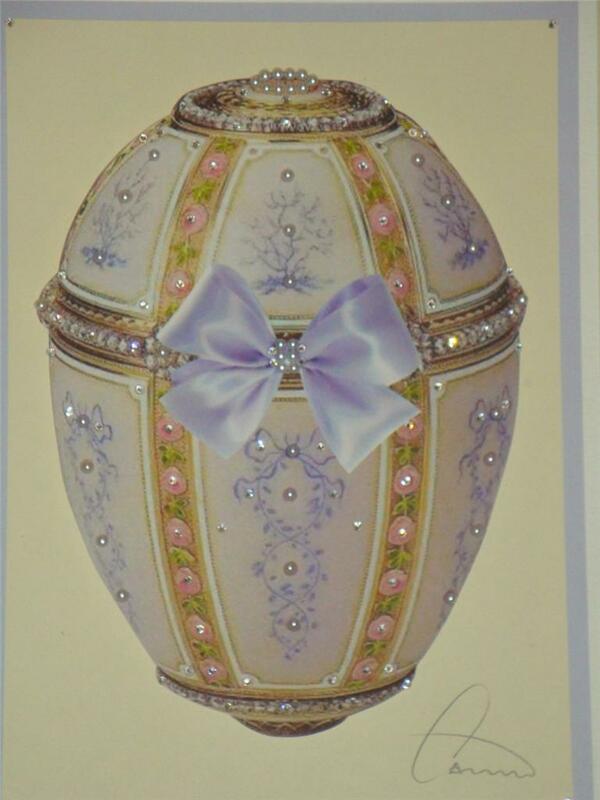 We will provide Certified Appraisals for this rare Collectors Piece!!! 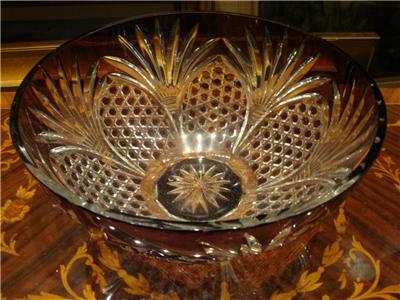 A Rare Estate Large Crystal Bowl with Amber Lizards conjoined on both Sides. 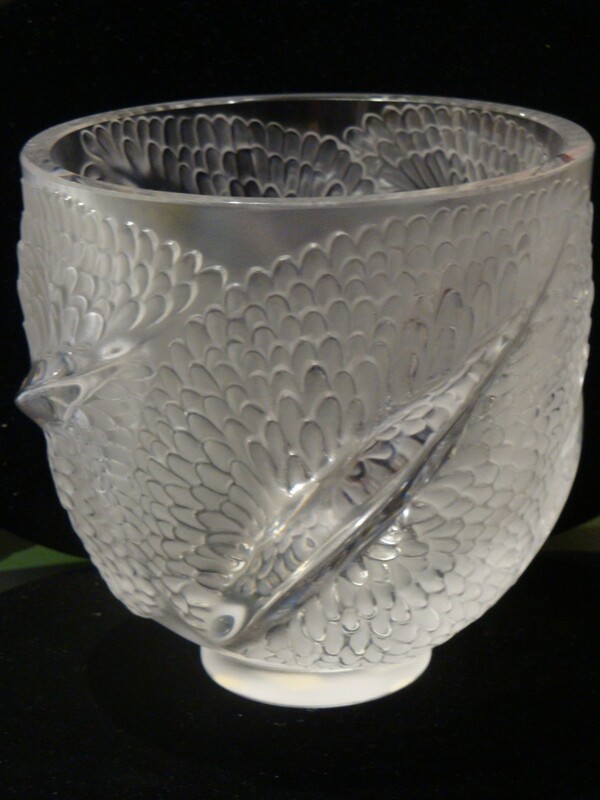 Signed with etched Lalique France signature on base. 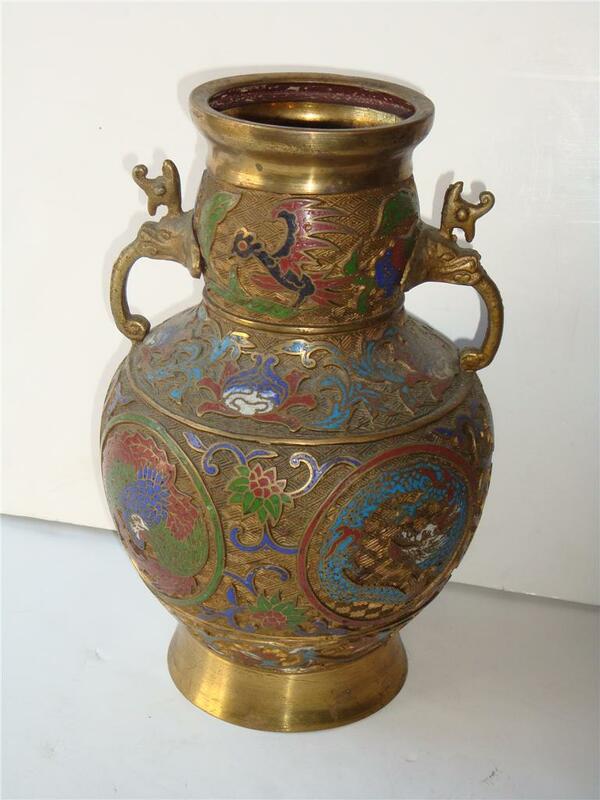 We will provide certified appraisals for the piece. A Rare Collectors Piece!!! 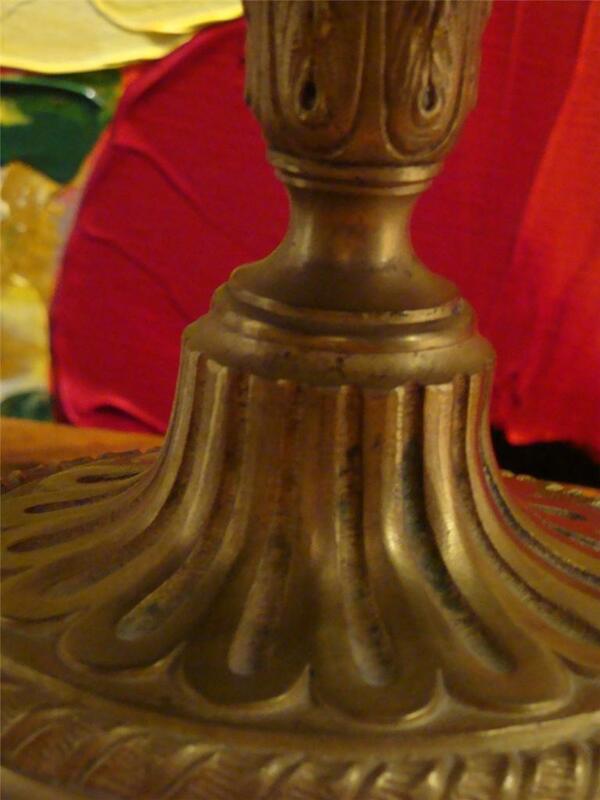 ﻿A Rare Large Elaborate Czechoslovakian Lamp. 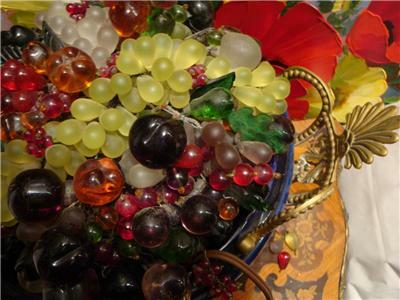 Lamp begins with a shade having a variety of Fruit including Grapes, Apples, Berries, Cherries and Leaves. 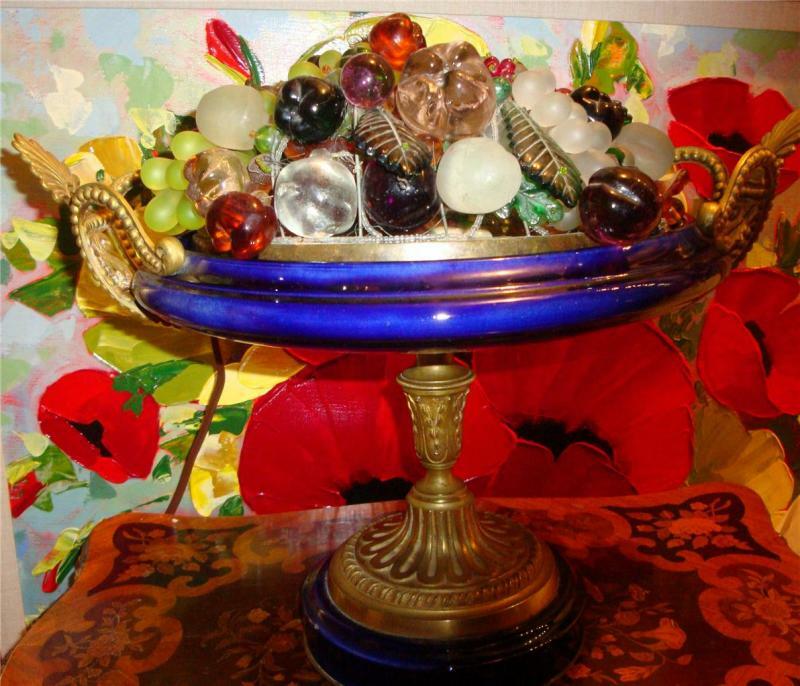 Shade is supported by a blue porcelain stand with ornate Bronze Work. 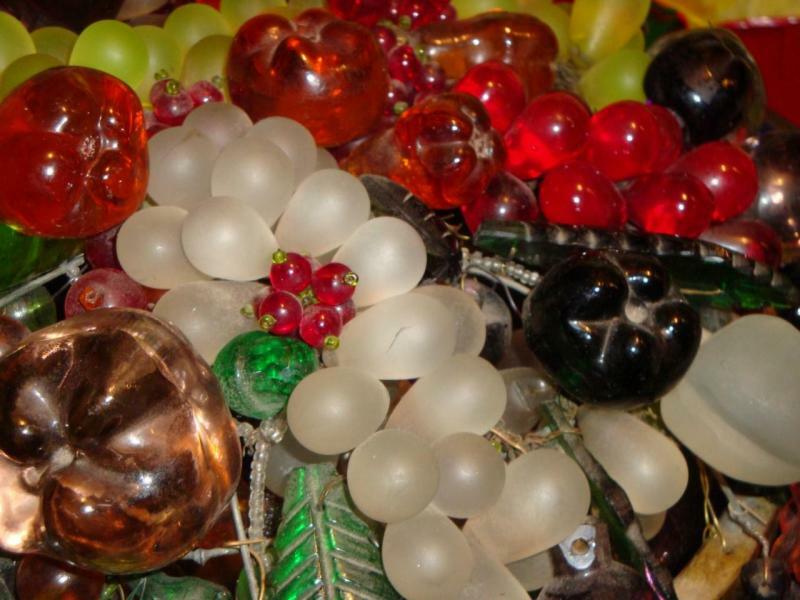 Fruit Lamp. Circa 1920s. 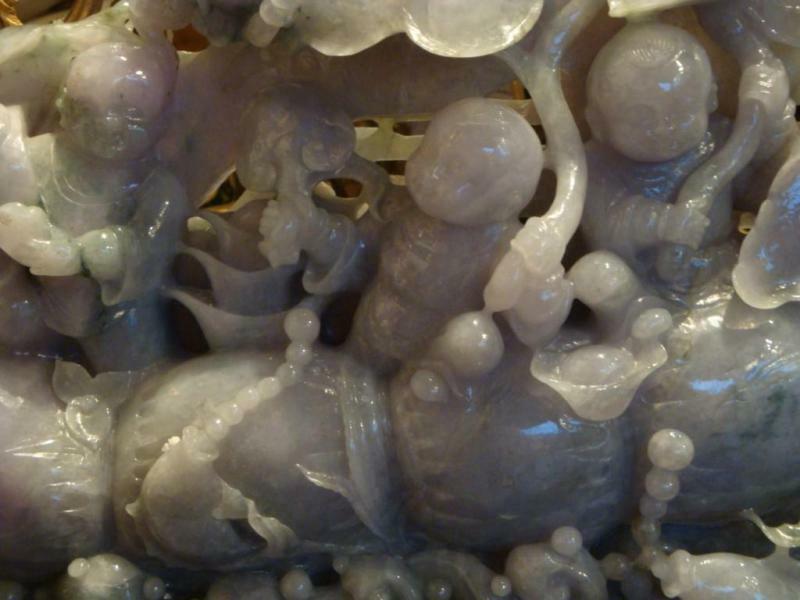 Taken out of a Grand Estate in Maine. 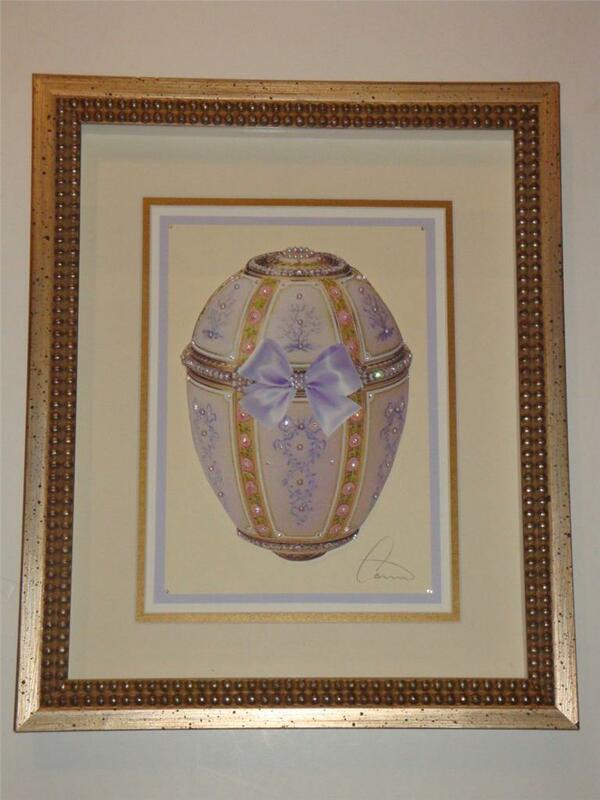 The Following Item is An Outstanding Limited Edition 3D POP ArtFramed Portrait of a Beautiful FABERGE EGG.Magnificently done with Outstanding Detail. 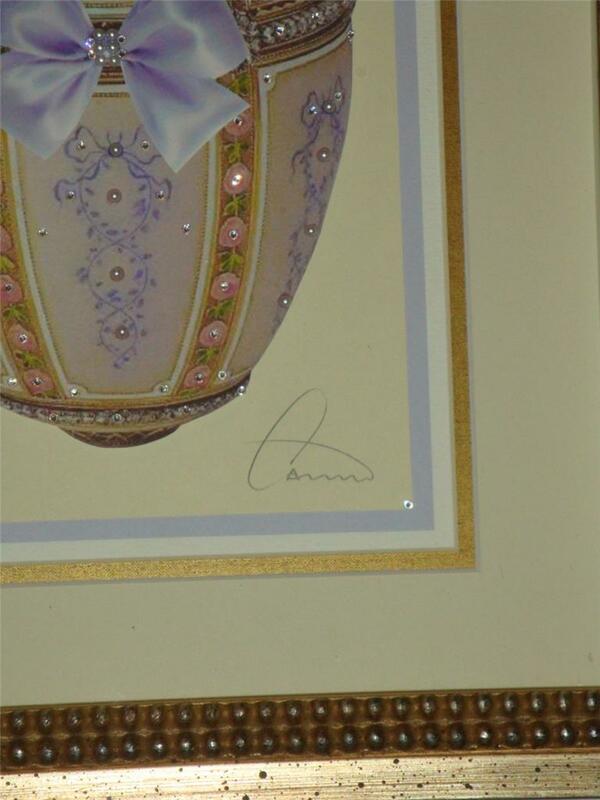 Photo is adorned with Swarovksi Crystals and Pearls and Signed by the Artist. 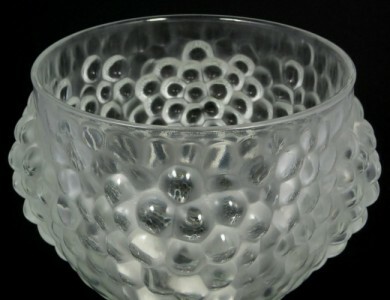 This Piece was Originally Priced in our Gallery for $995! 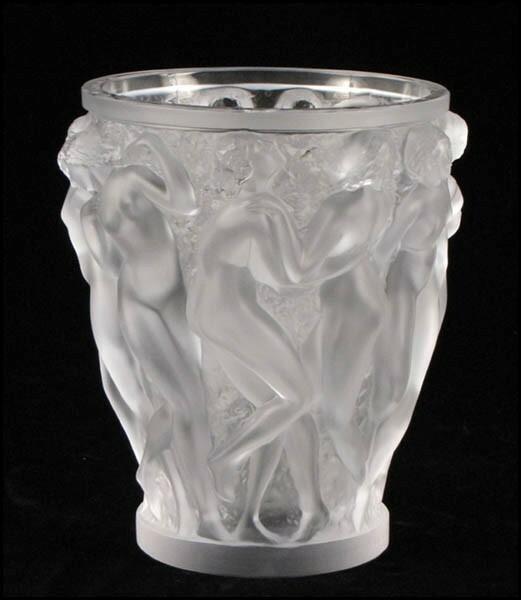 An Estate Mint Lalique Large Bacchantes Vase with Women conjoined Around. 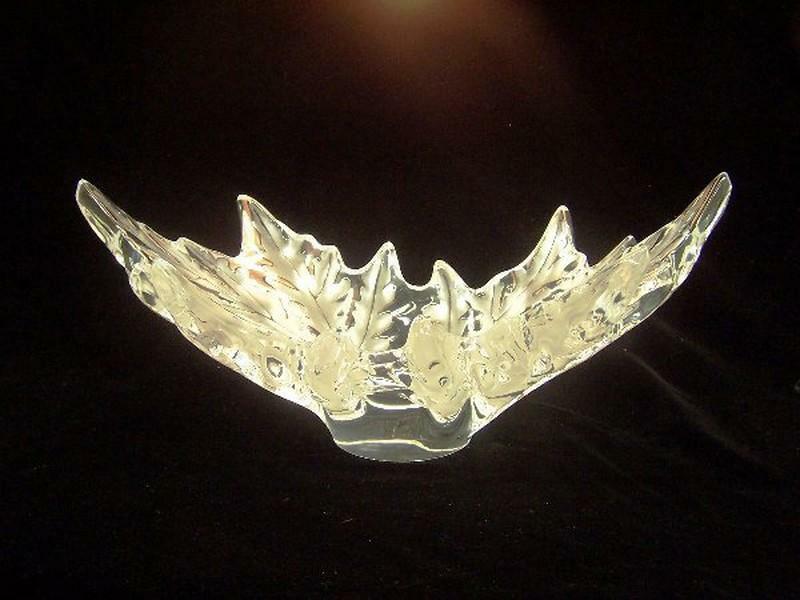 Signed with etched Lalique France signature on base. 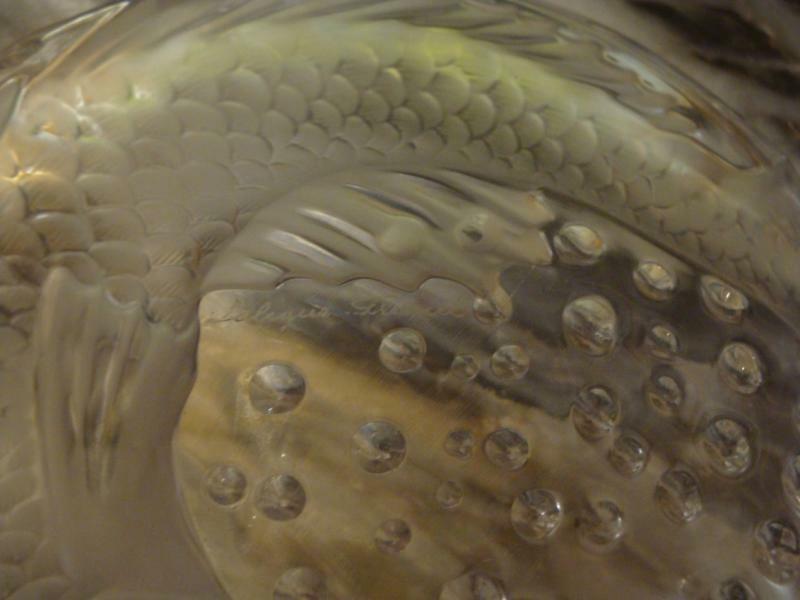 We will provide certified appraisals for the piece!!! 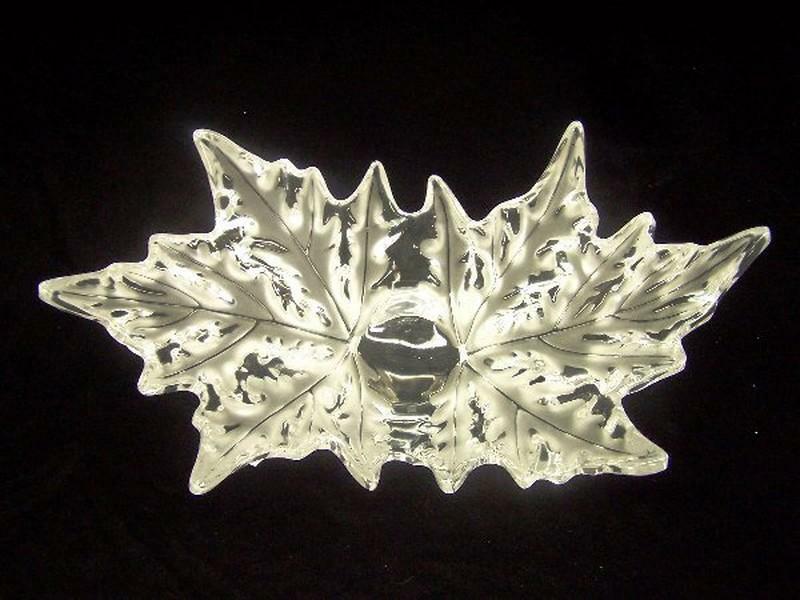 A Rare Estate Exquisite Lalique Large Champs Elysees Leaf Centerpiece Bowl in frosted and clear glass. 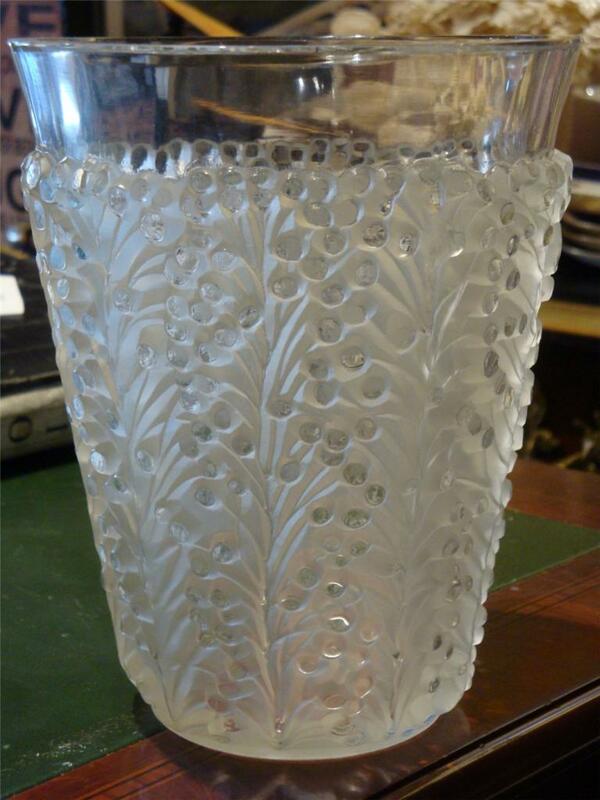 Signed with etched Lalique France signature on base. 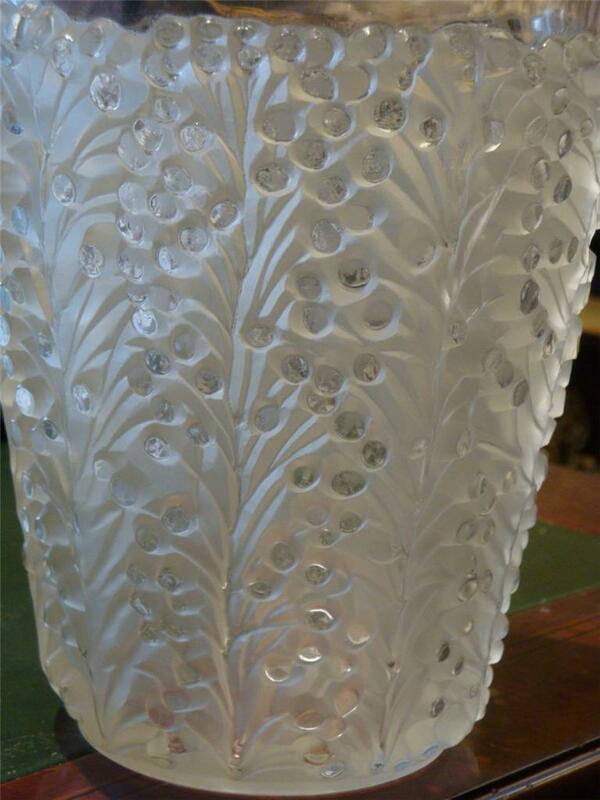 An Extremely Rare Estate Large Lalique French Cherry Blossom Spring Vase Circa 1950. 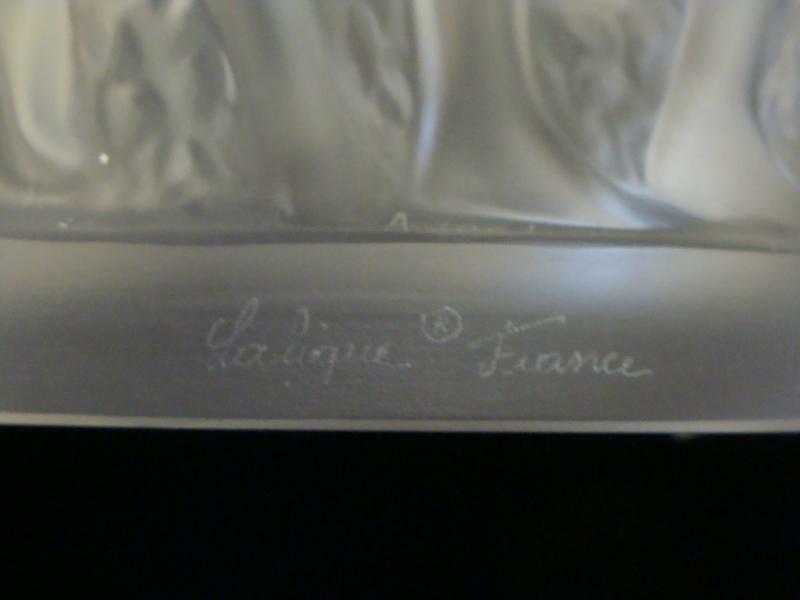 Base marked "Lalique France". 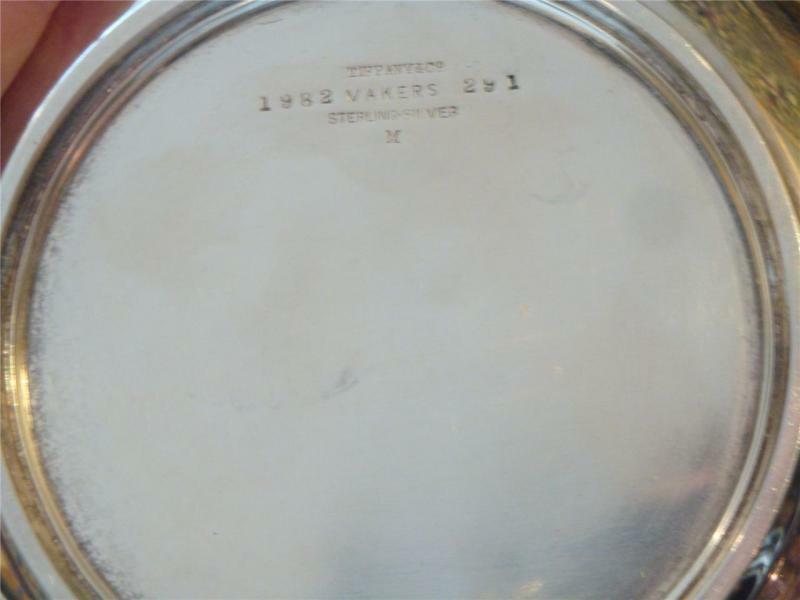 Minor wear at base consistent with age, otherwise in Excellent Condition!! Replacement Value: $7000. 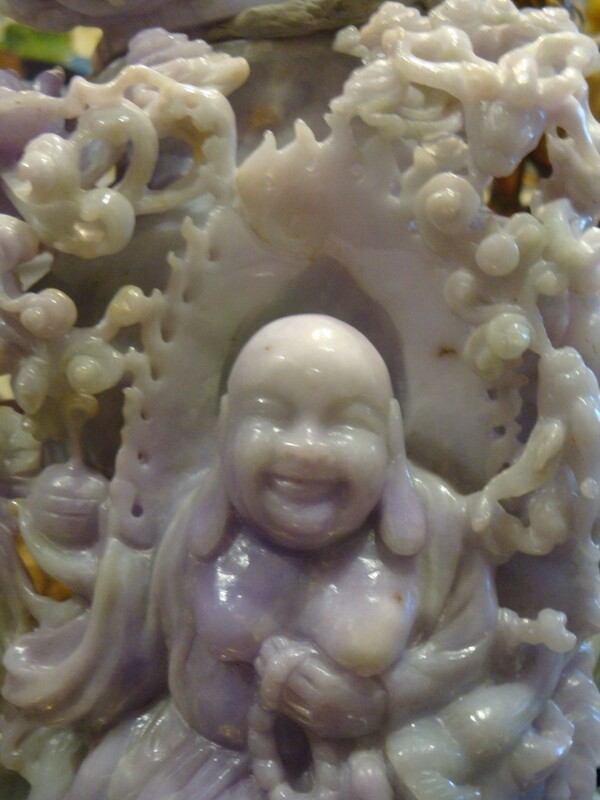 Provenance: TAKEN OUT OF A MULTI MILLION DOLLAR PRIVATE COLLECTION! 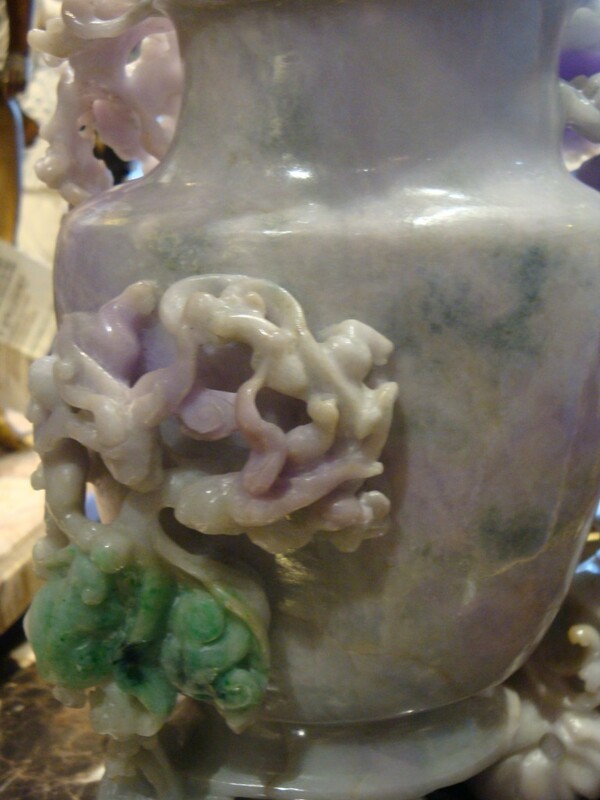 We will provide certified appraisals for the piece!!! 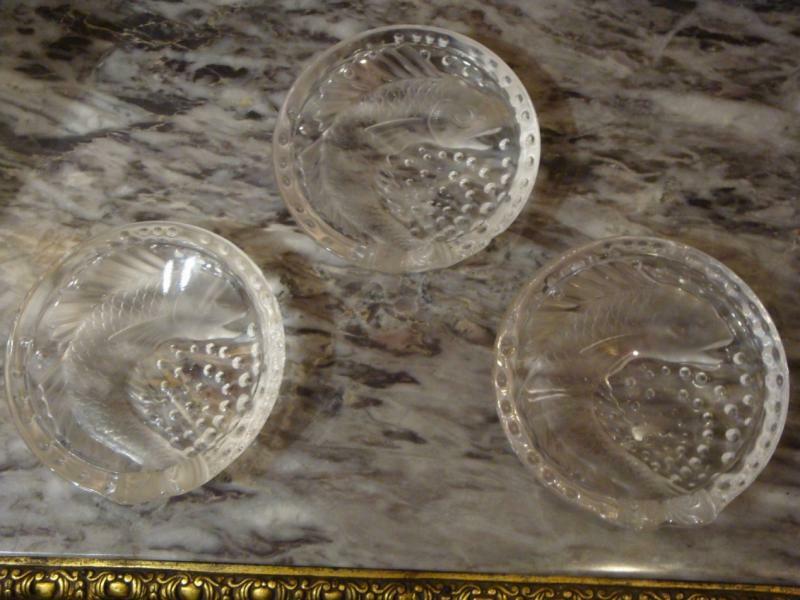 A Rare Set of 3 Mint Lalique Beautiful Lalique CONCARNEAU Fish Tray . 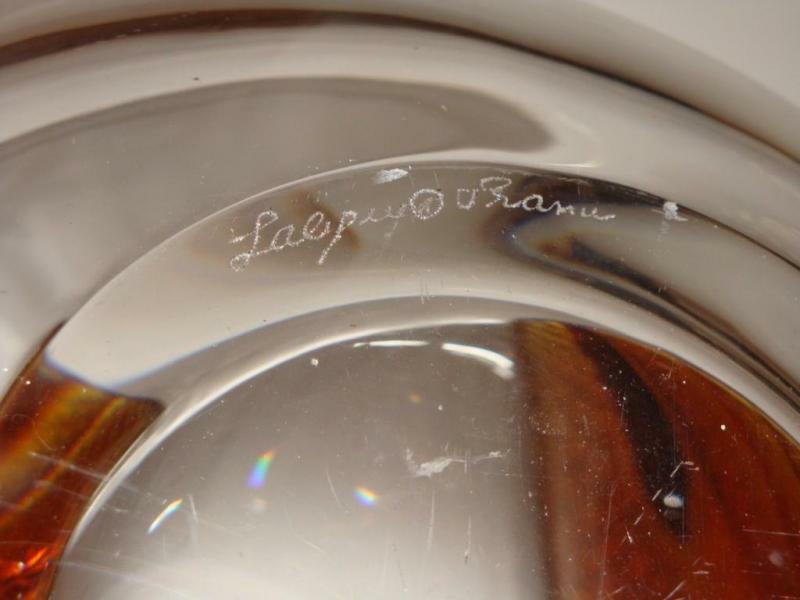 Signed with etched Lalique France signature on base. Taken out of a Private New York City Collection. 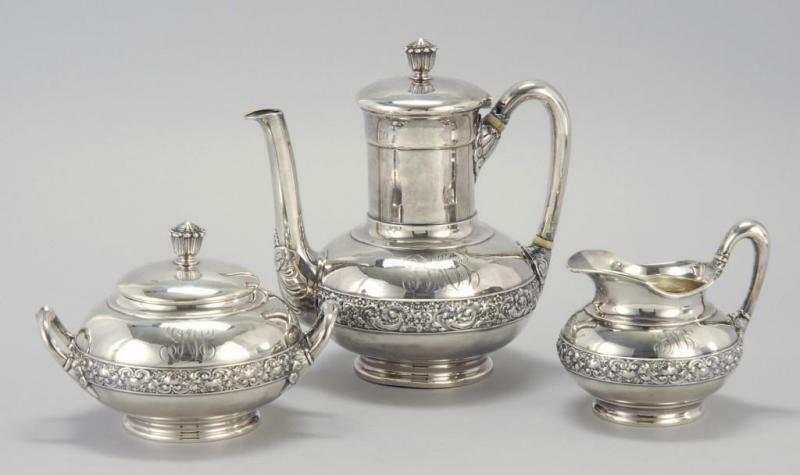 This Collection Retails for $1850!! 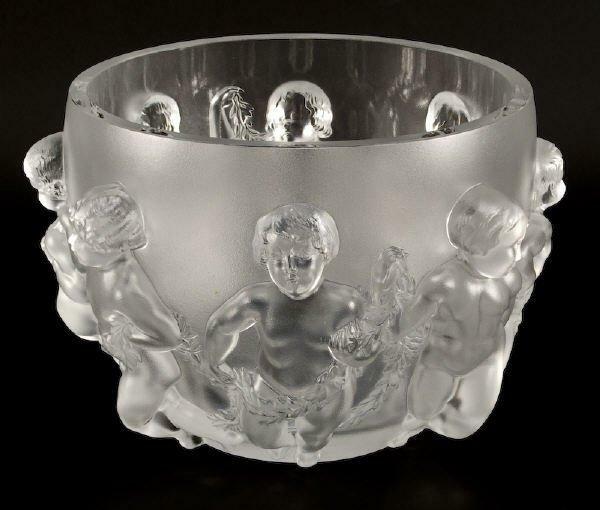 A Rare Large Deluxe Lalique Punch Bowl Grape Cluster Vase. 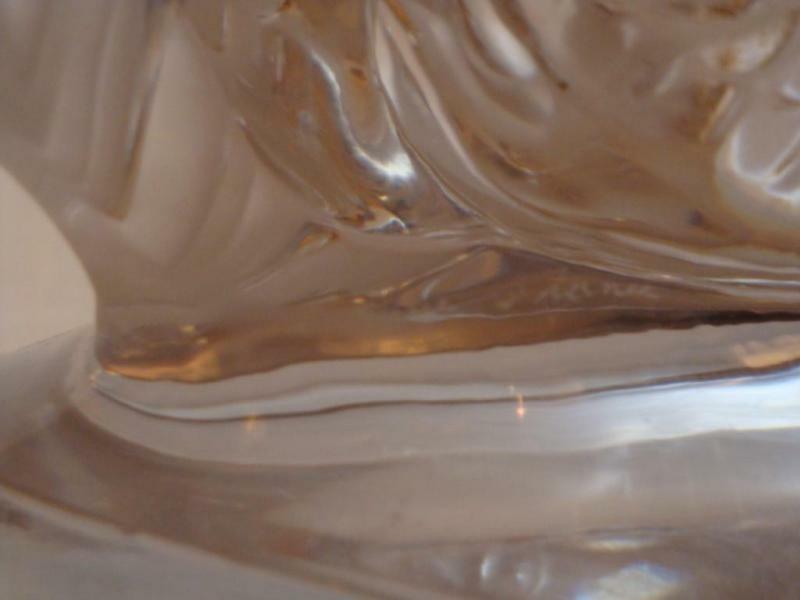 In frosted colorless glass. 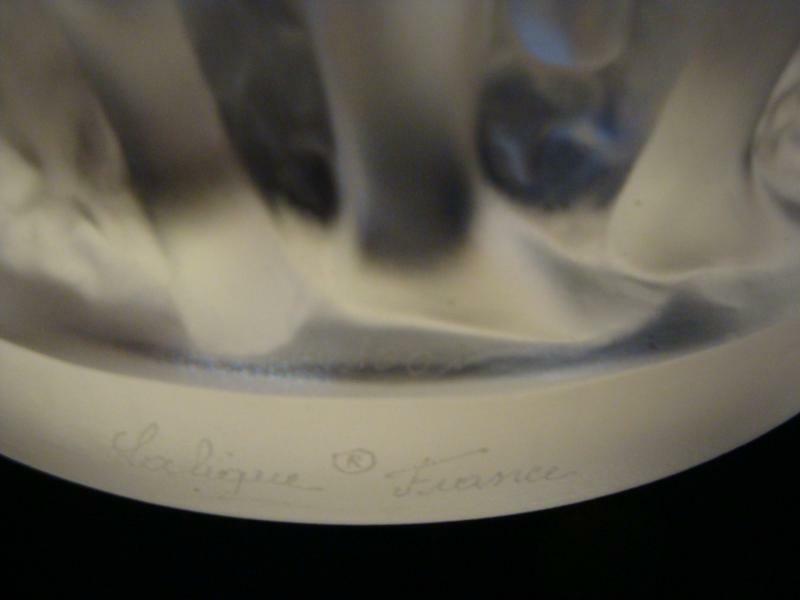 Signed with etched Lalique France signature on base. Taken out of a Private Pennsylvania Collection. 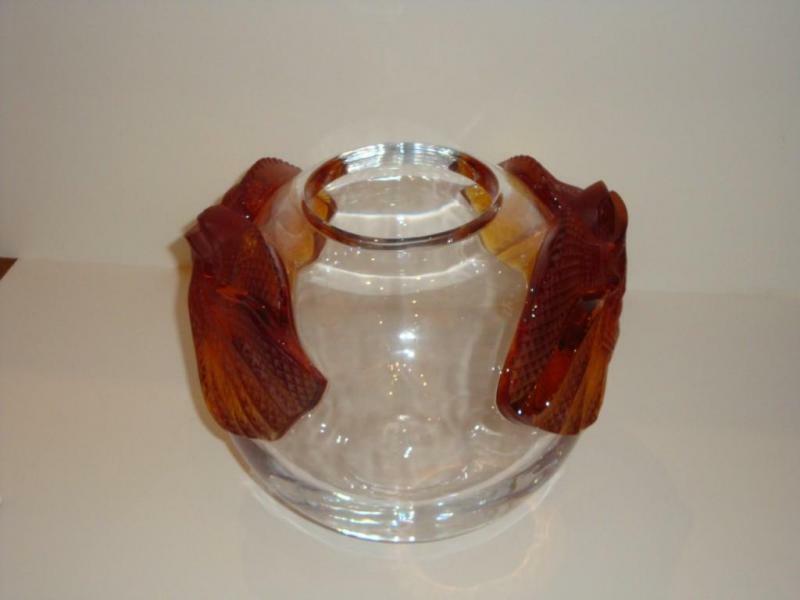 We will provide certified appraisals for the piece. 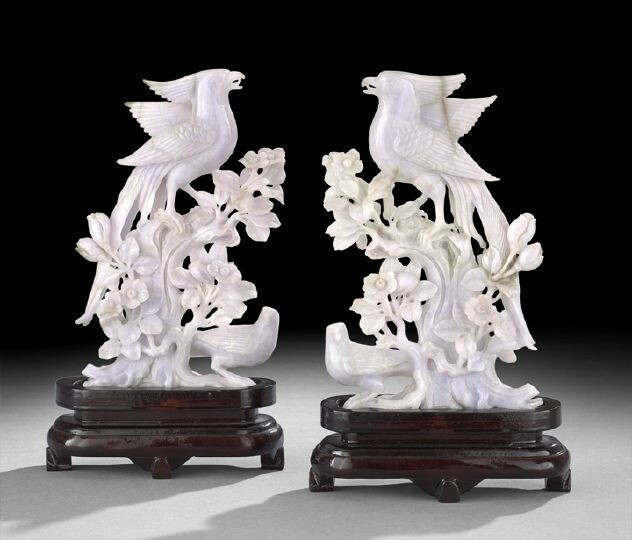 A Pair of Rare Museum Quality Pair of Carved Jade Bird Groups, the pale lavender stone carved as a long-tailed crested male bird perched in a flowering tree with a hen standing on the roots of the tree, fitted wooden base. 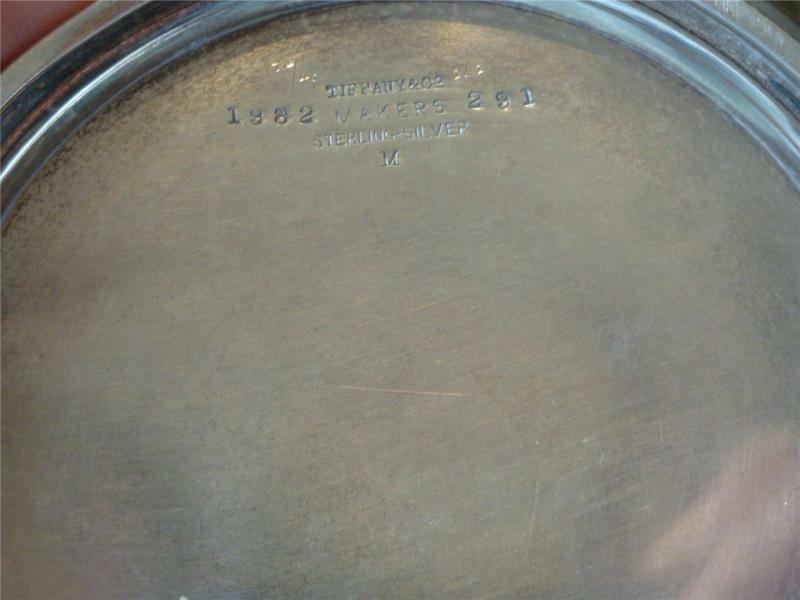 Provenance: Taken out of a Prominent Louisiana Estate. 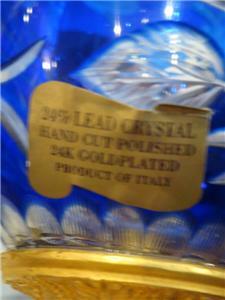 We will also provide Certified Appraisals on it. Absolutely Breathtaking and a Real Masterpiece!!! 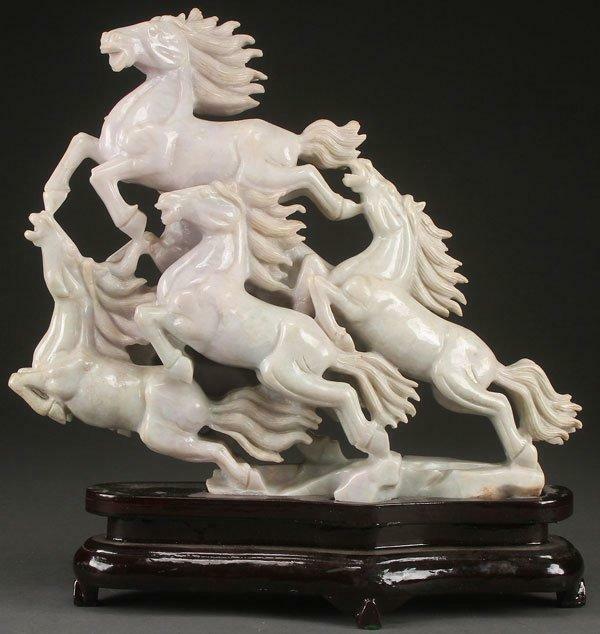 A Rare Museum Quality Large Chinese Carved Jadeite Running Horses Figural Group. 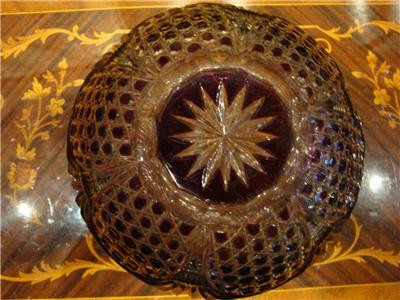 Pierced and fully carved in the round in a pale green and lavender colored jadeite Beautifully standing atop a Teak Wooden Base. 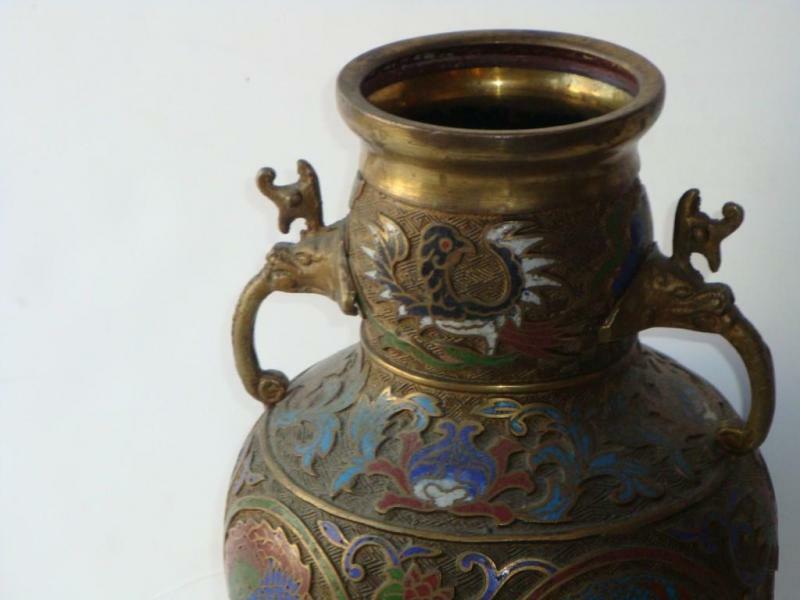 Provenance: Taken out of a Important Estate. 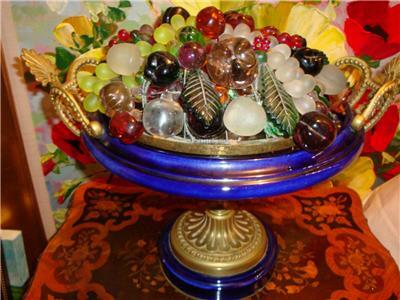 We will also provide Certified Appraisals on it. AnAbsolutely Breathtaking and a Real Masterpiece!!! 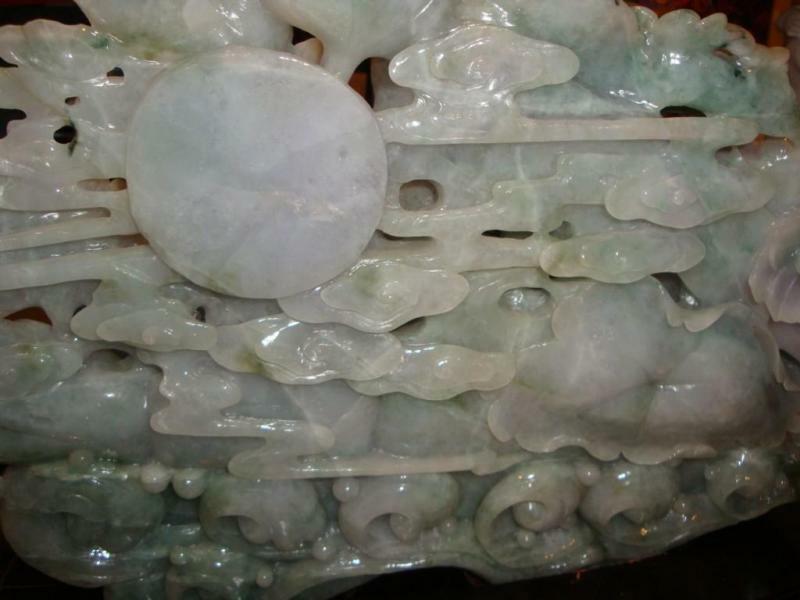 A Magnificent Large Massive Hand Carved Standing Lapis Lazuli Buddha with Children of Group of Horses. 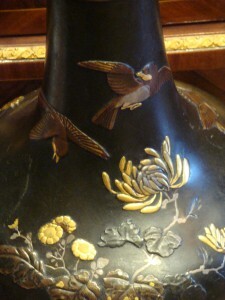 Excellent overall coloration; inlaid wood stand ; Provenance: Taken out of a New York Collection. 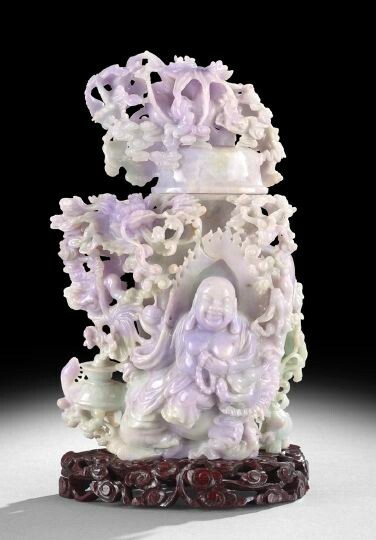 A Rare Estate Museum Quality Large and very elaborately openwork carved, Chinese Jadeite Figural group; with Group of Children Together. 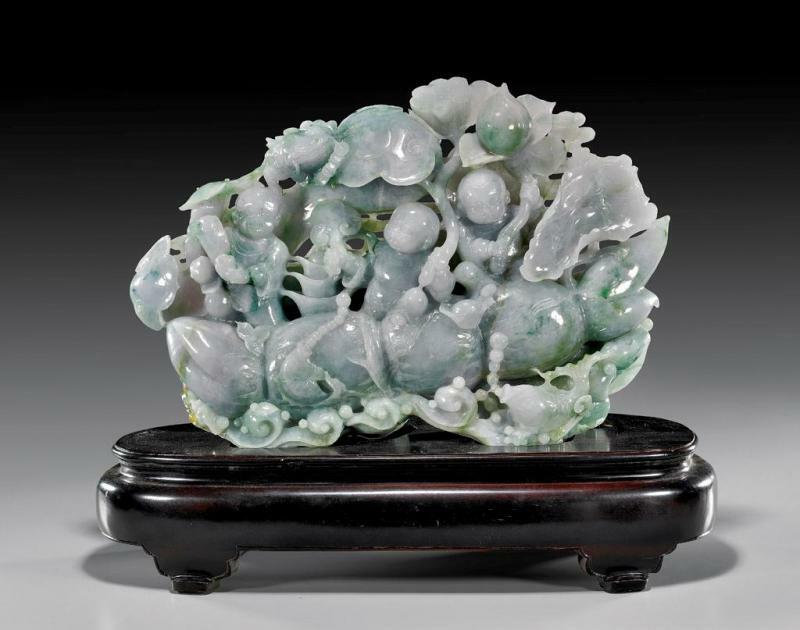 They are standing atop a Plant with Chinese Money , fish spitting out pearls, toad, and peaches above waves; the highly translucent jadeite of light green and pale lavender coloration. 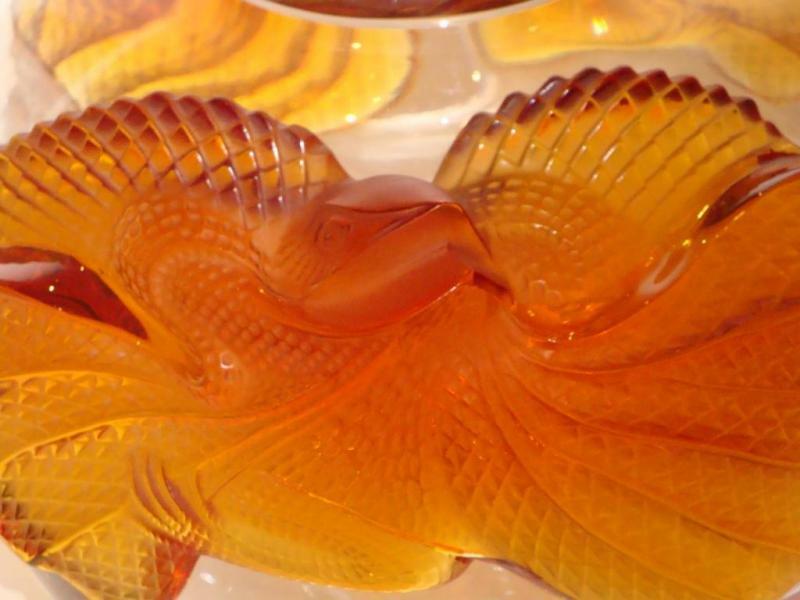 Beautifully done in Exquisite Detail with Spectacular Carving. Taken from a Private Collection. Comes with Certified Appraisals. Absolutely Breathtaking and a Real Masterpiece!!! 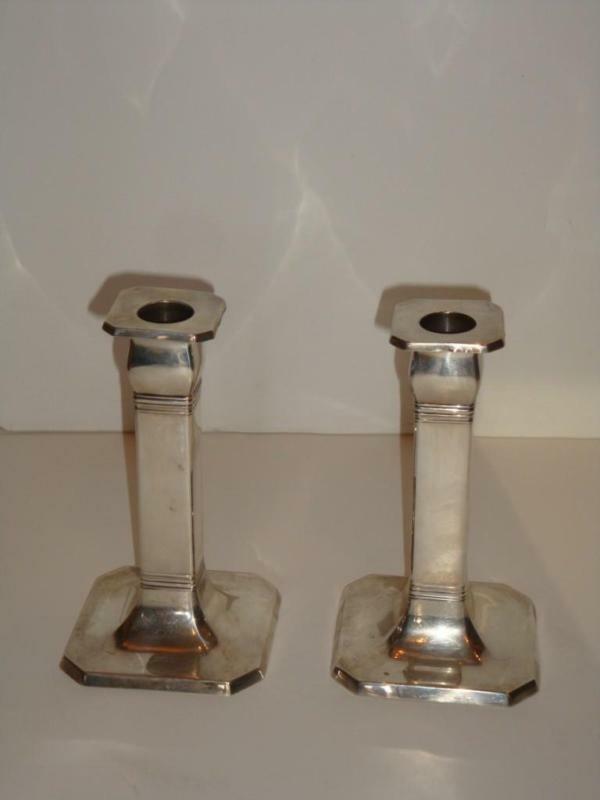 A Rare Pair of Tiffany & Co. Sterling Silver Candlesticks. A Pair of Absolute Masterpieces!!! 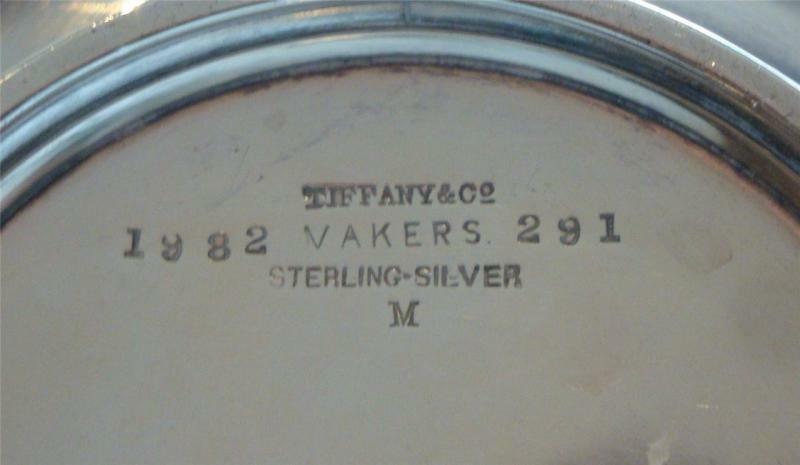 Signed on the Bottom "Tiffany and Co" Provenance: Taken from a Private Chicago Collection. Comes with Certified Appraisals!!!
" Tiffany and Co" . Provenance: Taken from a Private Massachusettes Collection. Comes with Certified Appraisals!!! 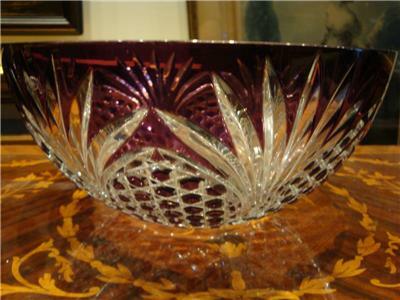 A Rare EUROPEAN HEAVY HANDCUT BOHEMIAN AMETHYST CRYSTAL BOWL. 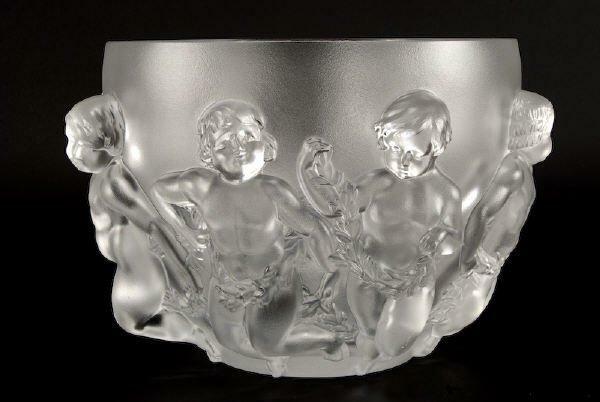 Bowl is Beautifully Etched Fine and done with Fine Outstanding Sculpted Detail. Taken out an Important Washington D.C. Estate.